The Step In Cirque Harness from RC Pet Products is a comfy, lightweight harness that comes in an easy step in style for dogs who are not comfortable with harnesses that go over their head. Made from breathable air mesh fabric and woven bindings for durability. 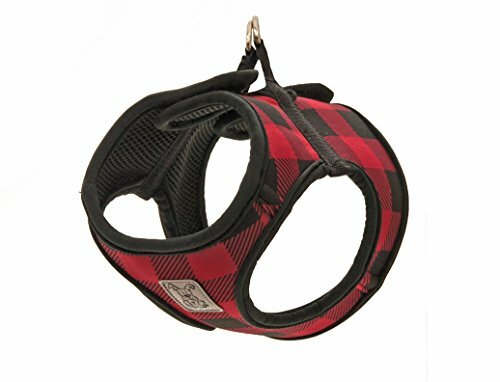 With the step in style your dog simply steps into the harness, wrap up the harness around the dog and secure the hook and loop fastener. The hook and loop fastener is great for people with reduced hand mobility. Available in multiple sizes and colors. Machine wash cold on delicate cycle. Do not wash with Velcro items. Hang to dry. Do not iron, do not bleach, do not dry clean. If you have any questions about this product by RC Pet Products, contact us by completing and submitting the form below. If you are looking for a specif part number, please include it with your message.